The heritage city Jaipur is famous for its vibrant and artistically woven fabrics and carpets. The traditional designs and fabrics used are simply the best and highly rated in the world. Poetically, the art of the colorful province of Rajasthan expresses itself through the fine fabrics of the capital city. 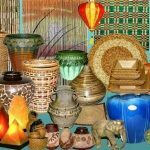 It has a good name in the world market owing to its authentic and classic items on display. There are numerous carpet centers in Jaipur, a majority of which undertake exports worldwide. Market areas like ‘Kishanpol Bazaar’, ‘Haldiyon Ka Rasta’, ‘Maniharon Ka Rasta’, ‘M.I. 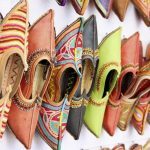 Road’, ‘Johari Bazar’, ‘Bapu Bazaar’ and ‘Nehru Bazaar’ are known for the stunning and beautiful fabrics, carpets, metal works handicrafts of the city. The textiles offered here are the best in the world. The vibrant and flamboyant textile works and carpets reflect the rich culture and tradition of Rajasthan as a whole. It was the Great Mughal Emperor Akbar who introduced the art of carpet weaving in the city. Today, the designs have no matches in the world. The carpets made of wool, silk, jute and several synthetic fibers are simply beyond comparison. The Persian print rugs or carpets inspired by Persian art and culture are the most remarkable of all. Namdas that are mostly white in color are made of wool. They are quite soft and richly embroidered. Jajam are small carpets or mats used for sitting. 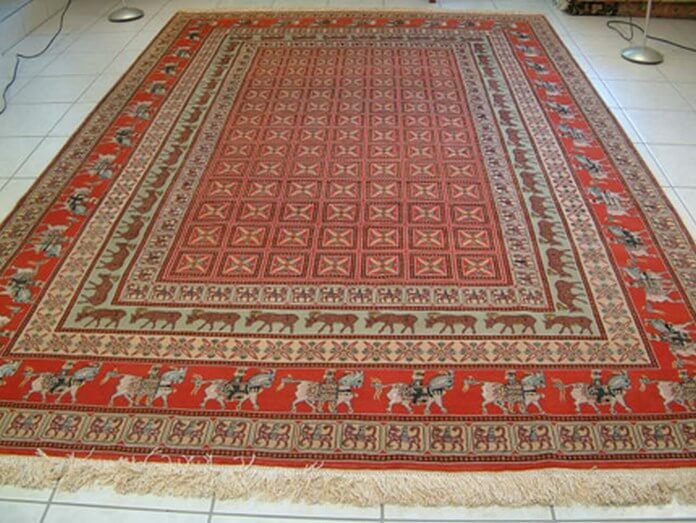 Dhurries are carpets made of cotton and are most popular as it is much easy to maintain. Again there are multi-colored carpets found in different designs and patterns to further enhance the beauty of your house. They are easily available in various materials, sizes and styles. To speak of it in industrial terms, Jaipur Rugs is a vertically integrated manufacturer providing retailers with lifestyle-driven products that are both stylish and socially responsible. The rug market in the city has a complete range of fashion-forward offerings in a variety of styles, constructions and price points for the tourists. The designs are inspired by traditional Persian rug designs with a blend of modern decor to fit in the modern lifestyle. Most of them are washed to soften the tones and give it a natural look. They are available in all sizes. So, the next time you are in Jaipur, do not forget to drop by this market. Jaipur has another best quality tag line added to one of its products – the fabrics. They are bright, colorful and simply are of the best quality. The printing is done with hand-crafted wooden blocks and mineral-based dyes. 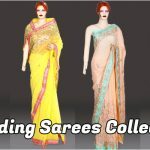 Some of the world famous textile products you may add to your list include sarees, kurtas, odhnis, dress materials and bandhej items. Rajasthanis adopts a unique technique of dyeing fabrics known as the tie and die method. Dyeing two sides of a cloth is also done exclusively in Jaipur. The textile products without a doubt have a standard recognition in the both local and foreign market. The fabrics and carpets of Jaipur have a different level in the world market. 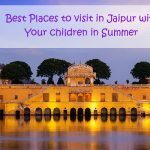 Jaipuris are experts’ owing to its rich heritage and artwork history. These carpets and fabrics are actually a way of communicating the flamboyance of the Rajasthani culture. The fabrics have become a fashion-statement for the new generation. The fame has reached almost every corner of the country.